Retirement can mean a lot of things to people, but many retirees look forward to this stage of life as a time when they can relax, pursue new hobbies and live life to the fullest. Although you certainly can do those things from your current home, many retirees are eager to see the world and enjoy a resort-style life in retirement. If you know you would like to retire overseas, but you haven't yet been blown away by any one destination, discover five the countless reasons that people from around the world choose to retire in Belize. One of the prime reasons to consider retirement in Belize is for the country's incredible climate. If you dread the cold of winter and you don't want to spend another year shoveling the driveway or dealing with snow, then a tropical destination like Belize will definitely appeal to you. Whether it is January or July, you can start your day with a walk on the beach or end it with a cocktail in hand admiring the sunset over the water. 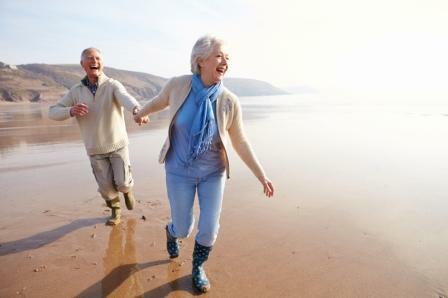 An important element in picking the perfect retirement spot is budget. You should be able to live the luxurious lifestyle you deserve without overspending or worrying about costs. Thankfully, Belize offers a low cost of living. Real estate, dining in restaurants, public transportation and entertainment will all be far cheaper in Belize than what you're used to paying for comparable goods and services back home. This means your retirement budget can stretch further and you can upgrade your lifestyle. Belize is an incredible place to retire in part because there are thriving neighborhoods that welcome expats with open arms. At the Grand Baymen, for example, residents are a diverse blend of cultures, allowing you to meet a range of people from around the world. You can get to know your neighbors, make new friends and socialize within walking distance in these vibrant communities in Belize. When it comes to overseas destinations, Belize can actually be an incredibly convenient spot for retirees. It is just a short flight to the East Coast of the United States, making it possible to head there for holidays or to visit friends. he Philip S. W. Goldson International Airport in Belize City offers a variety of international flights to destinations throughout North and Central America for residents to choose from. Belize is one of the safest countries in the world to live, which is one great reason to retire there. Wherever you retire, it should be a destination where you feel truly safe and secure. By opting to retire in a community in Belize like Grand Baymen, you will have the assurances of great security as well as very low crime rates in the area. Belize is wonderful spot for vacations, but it also have a tremendous amount to offer those who are still searching for their perfect retirement destination. Find out more about vacationing, retiring or living in Belize.